The threat of a fuel supply crunch has grown as key infrastructure is paralysed by the storm – Colonial’s announcement indicates the knock-on effects are growing. The firm’s network of pipelines is the country’s largest supply system, taking refined fuel from the Gulf of Mexico to consumers in major US cities including New York, Atlanta and Washington DC. 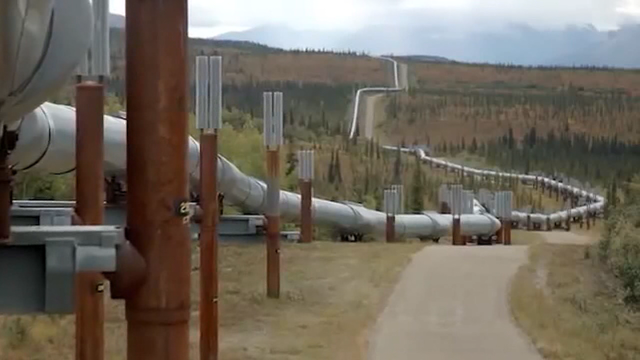 The company did not given any indication when the pipelines might reopen. Colonial issued a statement on Wednesday announcing its diesel and aviation fuel pipeline was closing immediately and that its petrol (gasoline) pipeline would be closed from Thursday because of outages at pumping points and a lack of supplies from refiners. The company said its facilities between Lake Charles and Houston were out of service. Of the 26 refineries that connect to the Colonial system, 13 are located between Houston and Lake Charles, it said. 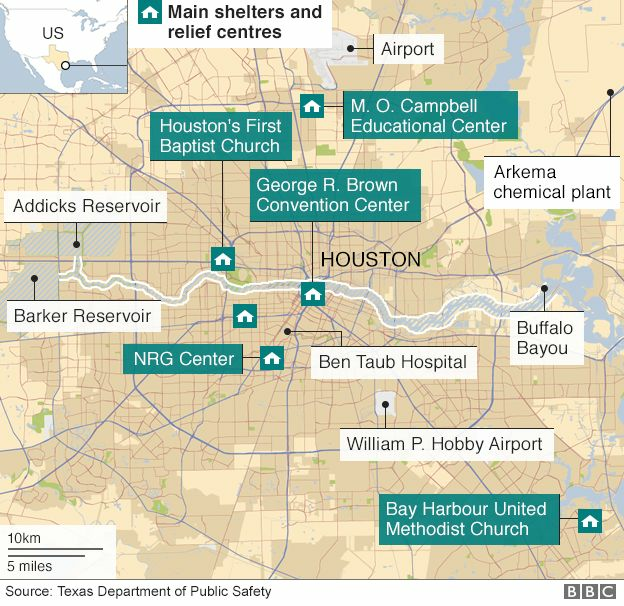 Why is Houston so vulnerable to floods? 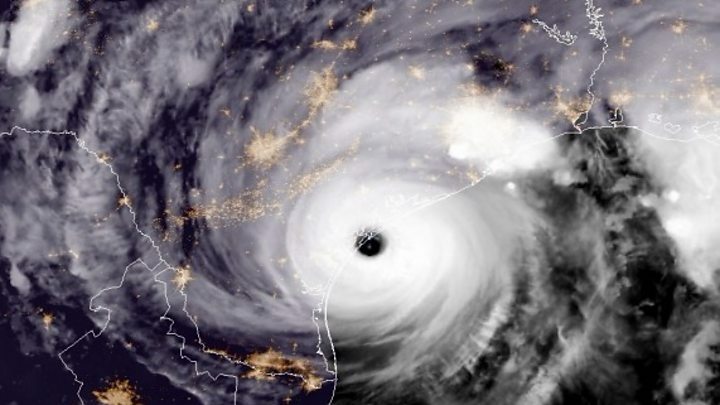 “Once Colonial personnel can safely access these facilities, we will evaluate and provide an estimate of the time necessary to ensure our pipe, pumps, tanks and related infrastructure are safe to resume operations between Houston and Lake Charles,” the statement said. 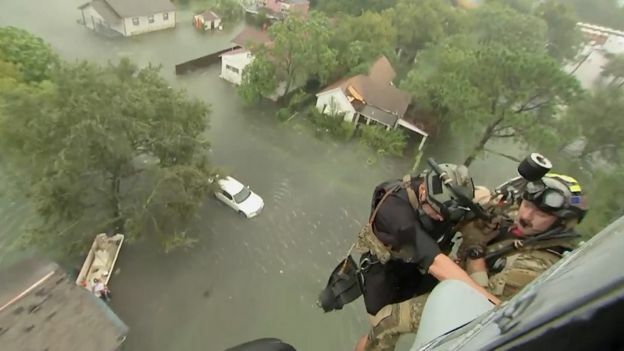 Large areas of Houston, the fourth most populous city in the US, remain under water.